The Bhut Jolokia Chili comes from Assam in India. The world's former hottest chilli in the world brings fire into your life! Whether in Chilli cultivation or in the hot dishes, Bhut Jolokia is for many Chiliheads the ultimate when it comes to Chillis! NOW IN A NEW DESIGN! Bhut Jolokia is the former hottest chili in the world. 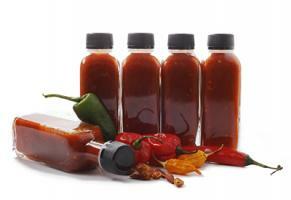 In this sauce, you can enjoy it pure, without extracts, other chilies or filling agents. Marvelous! Our extreme spreader for friends of the vampire bite. 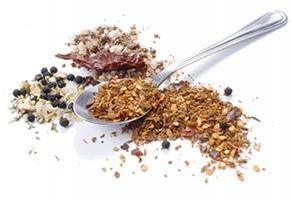 The spice mix with the fiery Bhut Jolokia Chili Pepper. NOW WITH THE NEW DESIGN Limited edition. Highly aromatic and unbelievably hot Bhut Jolokia puree with 85% chilies and extra virgin olive oil. Also great as an extremely spicy Sambal. Extreme heat without additional extract and free of vinegar taste. Also, ideal for use as Sambal. Caution! Only for the really hard-boiled chili fans! Very economical. A mash of fresh, fiery, Calabrian ripened Naga Morich chilies with extra virgin olive oil. Perfect as a Sambal! LIMITED EDITION HOT SAUCE with Bhut Jolokia chilies and lemongrass. Known from radio and TV! World's hottest tie - with the world's hottest chili! Stylish, decent, with red Bhut Jolokia chilies on a black background. LIMITED EDITION Hot Sauce with Bhut Jolokia chilies and garlic. Known from radio and TV! LIMITED EDITION Hot Sauce with Bhut Jolokia chilies and star anise. Known from radio and TV! LIMITED EDITION Hot Sauce with Bhut Jolokia chilies and fine spices. Known from radio and TV! The Bhut Jolokia is a Chilli from the variety Capsicum Chinense. In 2006 it broke the world record and made it into the Guinness Book of Records as the world’s hottest Chili. Herewith, the Bhut outclassed its predecessor, the Red Savina, which is only half as hot. Where does this exceptional Chilli come from? The Bhut has its roots in India, specifically in the north-east, in the region Assam, which is more familiar to us because of its tea production. 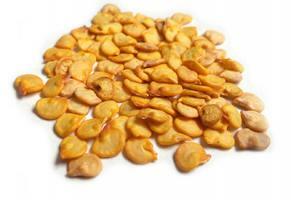 That is also where it is mainly cultivated today and it is highly popular with Indians. The Chilli goes by many names, all of which, however, describe the same breed. 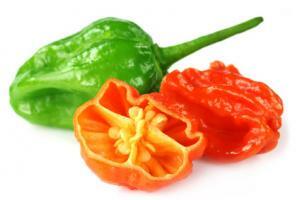 The most well-known names next to Bhut Jolokia are Naga Jolokia, Bih Jolokia and Naga Morich. The differences in the names arise because the Chilli is called differently in the various regions of India. Jolokia means Chilli in Assamic, which is why the word Jolokia appears often in its names. What does the Bhut Jolokia plant look like? 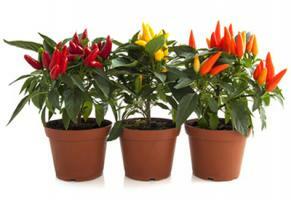 The plant grows to about 120 cm high and has lots of the typical characteristics of the Capsicum Chinense. The leaves surface is somewhat wrinkly, and usually three white flowers hang grouped on one branch. There are allegedly plants that are many years old that measure a whopping 4 meters. The peppers of the Bhut Jolokia grow to be about 5-8 cm long and 1,2 cm thick. They have a lightly wavy surface, are initially green and mature towards red. In some regions, there are Bhut Jolokia chilies that mature to be orange or brown. The heat of a Bhut Jolokia – Respect! In the year 2000 it became known for the first time of the existence of a chili in India, which would be hotter than the Red Savina, which was at the time the record holder in heat. After some years of research and tests, which have proven quite costly, as the Bhut Jolokia had to be multiplied, it had been established: the Bhut Jolokia is twice as hot as the Red Savina, which means super-hot! The heat degree measured by the Chile Pepper Institute is at 1.001.304 Scoville units, little above one million. It has to be said though, that the tested chili peppers were grown in New Mexico. The climate was there very hot and dry, which brings the heat a notch higher. In India, the heat level of the Bhut Jolokia varies a lot according to the weather conditions. If we grow Bhut Jolokia Plants in Germany, we will most probably not get that degree of heat, but with good fertilizing, a hothouse and as much heat and light as possible, the forming of capsaicin, the substance responsible for the heat, is facilitated. How and where is this Indian chili cultivated? The hot chili breed is mainly cultivated in the north-east part of India. Many Indians have a Bhut Jolokia in a shady place in the garden, but it is also common for it to be grown in big fields. Mostly the seeds are planted in a mixed culture on the rice fields. In order to fertilize the ground, in many cases bamboo is burned on the rice fields. Thanks to the climate of Assam, where the Bhut Jolokia is mostly produced, the plant can be harvested twice per season. Many Indians say that the Bhut Jolokia plants make more fruit if they stand in a shady place. Of course the chili can be found outside of north-east India as well. 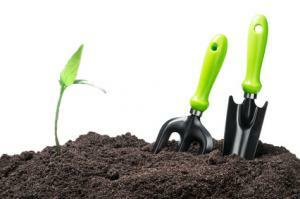 The plant has spread across the whole country as well as in the neighboring territories. In each region, there are minimal differences in size, shape and yield. 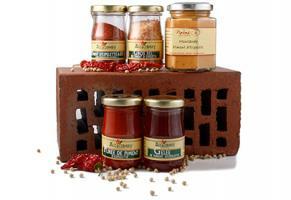 In India, the Bhut Jolokia is used in various ways. On one hand can it be harvested green (unripe) or red (mature). It has not only to do with the heat of the chili, but also with its typical taste. The aroma of the Bhut Jolokia changes depending on where it grows. That is why it is recommended to try this chili breed at least once in Assam, because only there will it fully develop its typical flavor. In its home country, the Bhut is used either raw or cooked with vegetables. They say that one pepper is enough for 2 meals for a family of six. The drying of the Bhut Jolokia is, in Assam at least, quite impractical, as the climate is simply too humid in that region. That is why the peppers are rather preserved otherwise in that area. For this there are several methods. For example, the chilies are cut into slices and then put into mustard oil. Another common method is the use of lemon juice for preservation.